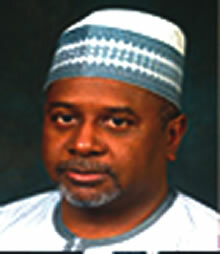 The new National Security Adviser, retired Col. Sambo Mohammed Dasuki, comes from the royal family of Sokoto: He is the son of the former Sultan of Sokoto, Alhaji Ahmed Dasuki, who was deposed by the military regime of the late Gen. Sani Abacha. Believed to be close to former dictator Gen. Ibrahim Babangida, Abacha dismissed Dasuki and some military officers in 1993. Dasuki’s closeness to Babangida was said to have come about from the fact that he was once the dictator’s ADC, and he was actively involved in the 1985 coup that brought Babangida to power. Dasuki later fled to the United States in 1995 after he was accused by the Abacha regime of being a party to a coup plot allegedly led by retired Col. Lawan Gwadabe. On his return, former President Olusegun Obasanjo appointed him as the managing director of the National Security and Printing Company at the behest of Babangida. A director of Regency Alliance, an insurance company, Dasuki attended the Washington DC and George Washington University, where he obtained a BA in International Relations and MA in Security Policy Studies respectively. He had his military training in several institutions in Nigeria and abroad including the Nigerian Army School of Artillery, Oklahoma, U.S. Army Command and General Staff College, Ft. Leavenworth Kensas. His major task is to arrest the Boko Haram insurgency, which is threatening to spread into other parts of the country, apart from the North. He will also be expected to tackle militancy in the South-South, where Nigeria derives its main source of revenue. When the vote in the U.S.?